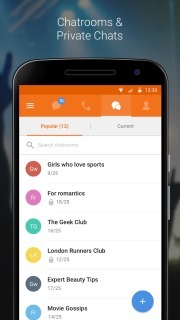 Nimbuzz Messenger is a free chat &amp; calling app to connect with your buddies. &bull; FREE MESSAGING - Replace SMS with unlimited free chat. &bull; GROUP CHAT - Enjoy group conversations by sending text messages to your contacts in a single group. &bull; STICKERS - Express yourself better with super cool Sticker packs. &bull; FILE SHARING &ndash; Share photos, documents, music and videos with all your friends. &bull; CHAT BUDDIES &ndash; Use our popular chat buddies for Cricket, Astrology, Meet a Stranger, Jokes, Games. &bull; AND MORE: Custom chat wallpaper, N-world, Virtual Goods, Free Avatars, Games and more. Nimbuzz Messenger Free Calls ..